The decision to build this church was made February 24, 1919. This building was destroyed by fire in spring 1921. The second church was dedicated August 07, 1921. An Alberta Government grant in 1974, allowed the cemetery restoration. 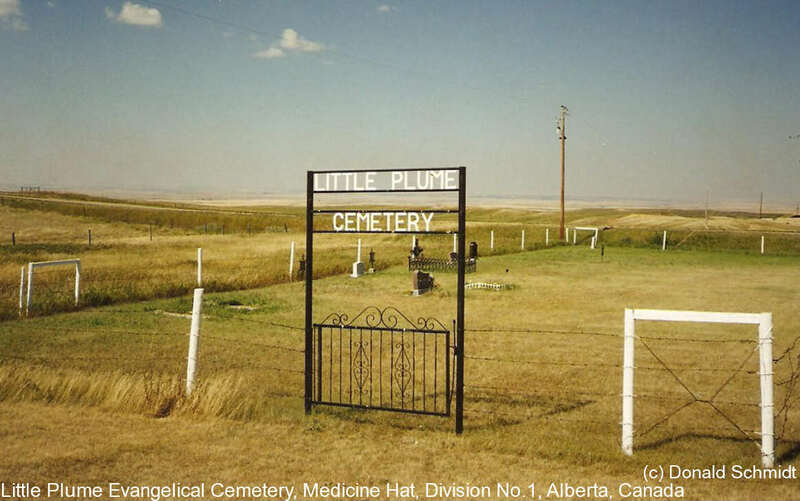 The church and cemetery are on NW 36-09-05-W4 and can be found by traaveling south of Medicine Hat, Alberta, on the Eagle Butte Road or range road 51 to the junction with township road 100.